Here in the Midwest, we take grilling season very seriously. Whether we’re hosting backyard cookouts or tailgating with friends before a sporting event, everyone seems to have their own tricks and recipes. 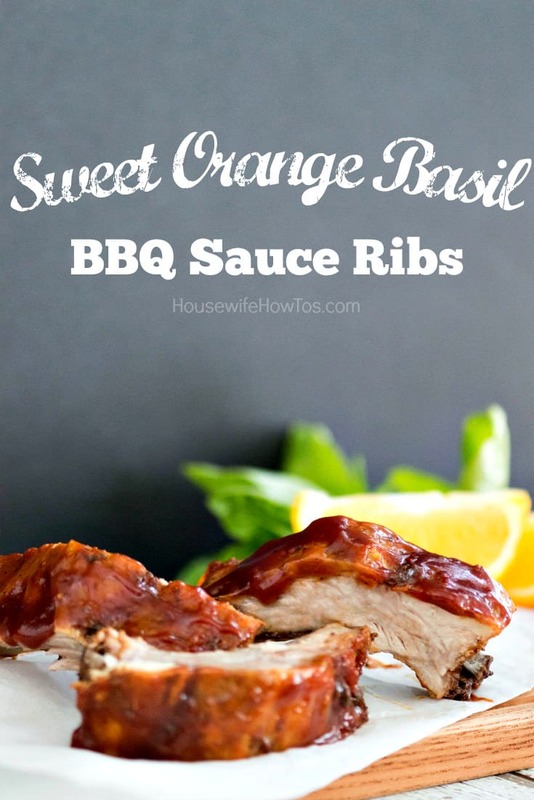 I’m no exception, and I’m proud to partner with Smithfield to share my Sweet Orange Basil BBQ Sauce Ribs recipe with you. Living in the Kansas City area as I do, it felt for years like I was the only one who didn’t know how to grill like a pit boss. The truth is, the grill intimidated me! Figuring out when it was ready, whether it was medium or medium-high, and when to use direct or indirect grilling all seemed overwhelming. For years, my husband handled the grill duties while I made all of the sides. Now, though? I’ve empowered myself and not a weekend goes by when you won’t find me manning — er, womaning — the grill. This summer, Smithfield has set out to help everyone feel comfortable grilling delicious, fresh pork at SmithfieldGetGrilling.com where you’ll find recipes, videos, and tips to the perfect grill experience. Start with high-quality fresh pork! 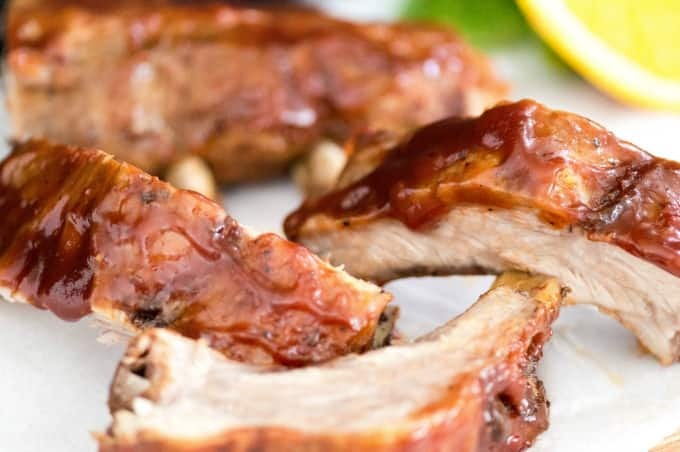 My best tip is to start with Smithfield Prime Reserve Fresh Pork Back Ribs from Price Chopper or Sam’s Club. Their superior marbling means anyone can create a recipe that makes them look like a pit master. Raised in the USA, like all of Smithfield’s fresh pork products, these ribs are free of added hormones, steroids, and artificial ingredients. Get grilling and win prizes! Once you’re ready to fire up the grill be sure to get out your camera, too. Smithfield is calling all grillers to enter their photos and recipes in the Get Grilling America photo contest. They’re giving away thousands of grilling and cash awards — July’s prize is $5,000! Hundreds of additional prizes will be given weekly to those submitting photos as well as those voting. So, even though my recipe isn’t eligible, yours might be! To enter — or to get great grilling tips — visit SmithfieldGetGrilling.com, then pick up any of Smithfield Prime Fresh Pork. Not a fan of ribs? Try their Tenderloins, Boneless Loins, Chops, or Roasts. They’re all good. Meanwhile, brush up on your grill skills using my Sweet Orange Basil BBQ Sauce Ribs. 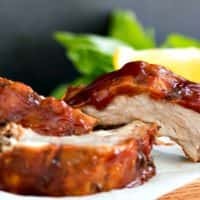 The combination of citrus and herbs in a thick, sweet barbecue sauce will have you and your guests licking your fingers and maybe even your plates, too. Want more tips and advice about grilling ribs and other fresh pork products? Visit Smithfield Get Grilling! 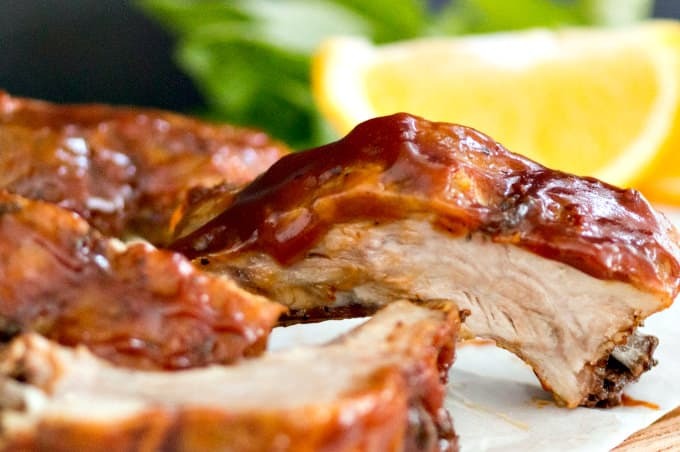 Tender fresh pork ribs slathered with a thick, sweet citrus and herb barbecue sauce that stands out from the crowd. Preheat the oven to 300°F. Position a rack in the center. Remove the membrane, if any, from the ribs by lifting a corner with the tip of a knife and slowly pilling it free. Season the ribs on both sides with salt and pepper. Place the ribs meaty side up on a baking sheet lined with foil. (Cut the slabs in halves if necessary to fit.) Cover tightly with a double-thickness of additional foil. Bake at 300°F for 2 hours. 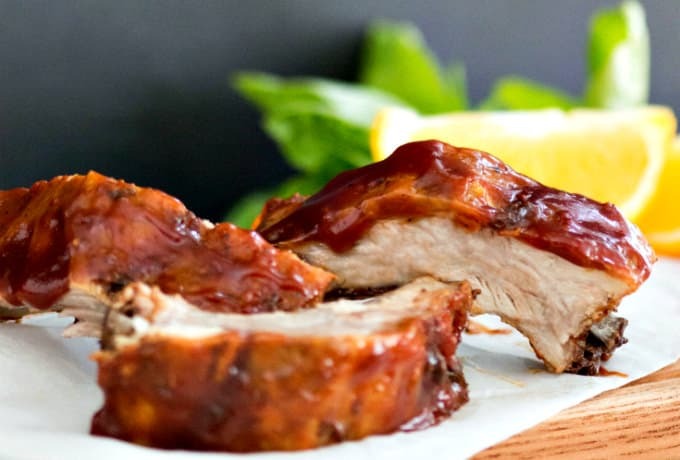 While the ribs bake, make the sauce by combining the remaining ingredients (except for butter) in a blender or food processor. Transfer this to a medium sauce pan and simmer for 15 minutes over medium-high heat, stirring frequently. Remove the sauce from the heat and stir in the cubed butter until fully incorporated. Let cool. When the ribs have baked for 2 hours, open the foil and baste both sides with the sauce. Grill over medium direct heat for 15-20 minutes basting repeatedly until done. Remove from grill. Let rest 5 minutes then brush with additional sauce and serve. Remove the ribs from the oven and move the rack 3-4 inches from the top. Baste ribs and broil 3-4 minutes, until the sauce begins to caramelize. Remove from oven. Let rest 5 minutes then brush with additional sauce and serve. I have written this sponsored post on behalf of Smithfield.